Join authors Jodie Geddes and Thomas Norman DeWolf for this “virtual” book launch. This Little Book will be published by Skyhorse Publishers in January 2019. The authors will share the book's genesis (hint: the seeds were planted at the RJ in Motion conference at Eastern Mennonite University in 2016). With restorative justice and trauma awareness principles at its foundation, Coming to the Table has grown from a gathering of two dozen people at EMU in 2006 to thousands of members across the United States today, including 32 Local Affiliate Groups meeting in communities in 12 different states. 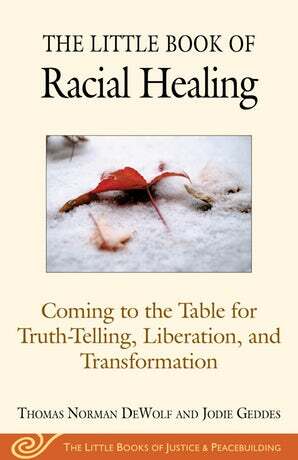 Join the webinar for an engaging conversation of the content of the book, of Coming to the Table, and the high interest across the United States for truth-telling, liberation and transformation. Jodie Geddes was born in Jamaica, West Indies and emigrated to the United States at the age of 6. Through her experiences as a Caribbean-American immigrant, Jodie found herself pushing to have deeper and more intersectional conversations about race, justice, truth telling and healing. As a community organizer, writer, and restorative justice healer, Jodie seeks to be a home where young people and elders can learn together and create collective community responses to the transformative healing of historical harms built in the legacy and history of slavery. Through her work with Restorative Justice for Oakland Youth (RJOY) Jodie is exploring the possibility of a national truth and reconciliation process for the United States. Jodie is the president of the Board of Managers for Coming to the Table (CTTT). 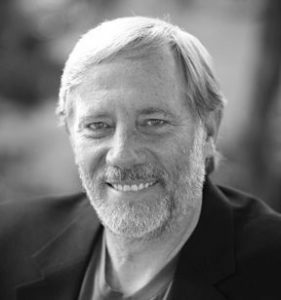 Tom DeWolf serves as Executive Director of CTTT and is a certified STAR Practitioner (Strategies for Trauma Awareness & Resilience). Tom is the author of two books: Inheriting the Trade, and Gather at the Table: The Healing Journey of a Daughter of Slavery and a Son of the Slave Trade (both Beacon Press). Tom is also featured in the Emmy-nominated documentary Traces of the Trade: A Story from the Deep North. Tom travels extensively throughout the United States; speaking at universities, corporations, and conferences, and leading workshops and trainings for groups dedicated to social justice. Tom and his wife Lindi live in Oregon. Learn more about Tom’s work at his website.